The Old Auction House is proud to present 'Distillations', a solo exhibition of works by Melbourne-based artist Susie Monte. ‘Distillations’ is a collection of paintings created during a period in Susie’s art practice where she settled upon the key aspirational outcome for her work: joy. In creating this exhibition, Susie was motivated by a desire to express the sophistication of colour and the boldness of form. The works are a physical distillation of that process, with their emotional distillation being the impact on viewers. 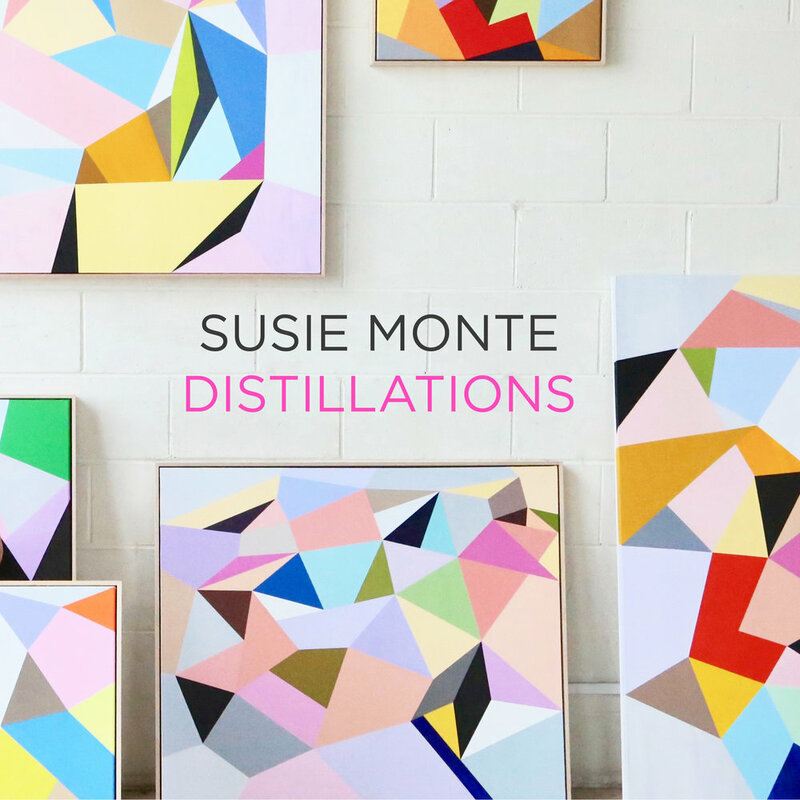 Thematically, ‘Distillations’ is Susie’s articulation of the essence of nature and its beauty. The Old Auction House is located in Kyneton, a one-hour drive from Melbourne. Please join us for the opening night event on Australia Day, Friday 26 January, 5-7pm!